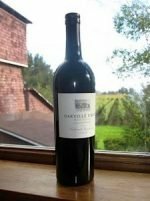 View cart “Happy Canyon Piocho Bordeaux Red Blend 2015, Happy Canyon Valley, California, USA” has been added to your cart. From the Rioja clone and aged 12 months in French oak, the Rabble Tempranillo 2016, Mossfire Ranch Vineyard. 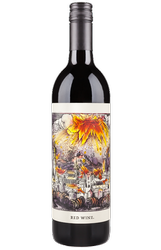 Made up of 100% Tempranillo, it is opaque purple-colored, offering up a super-expressive bouquet of bacon, tar, mineral, pencil lead, blueberry, black raspberry, and licorice. Smooth-textured, layered, ripe, and sweetly-fruited, this forward pleasurable, lengthy effort has 2-3 years of aging potential but can be enjoyed now and over the next 10 years. We have long appreciated the wines that William Knuttel makes – always small production, high quality. Add in fruit from Rafanelli Vineyards and you have a winning combination. The 2015 Petite Sirah, D. Rafanelli Vineyard, Rex & Amarica Block has aromas of blackberry and ripe pomegranate, black plum and black cherry, with well-integrated oak and toast. The wine is opaque, nearly like India ink, with black and deep purple hues. 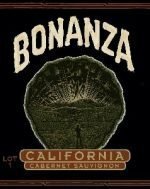 The velvety tannins are meshed in intense blackberry, black cherry and licorice flavors, and the well-balanced finish lingers while concentrated fruit explodes on the palate. Mutt Lynch Winery was born in 1995 combining Brenda Lynch’s passion for wine and “all things dog.” The motto for the winery comes from Sark – Apply Dog Logic to Life: Eat Well, Be Loved, Get Petted, Sleep Alot, Dream of a Leash-Free World. Brenda’s first wine was a Zinfandel called Domaine du Bone. 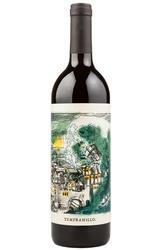 The whimisical names and labels continue, but the wine is serious – seriously good! Mutt Lynch Winery is proud to support local and national animal organizations in their tireless efforts to save pets’ lives and continue the efforts of such organizations as Canine Companions for Independence. In communities throughout the country, Mutt Lynch partners with wine shops, restaurants and local animal rescue groups in support of their fundraising efforts. The 2014 Mutt Lynch MBF Primitivo, the sixth vintage of the MBF (Man’s Best Friend) Primitivo, is truly delicious. Primitivo is a close cousin to Zinfandel. Its name derives from the terms primativus or primaticcio, which refer to the grape’s tendency to ripen earlier than other varieties. However, Speedy Creek Vineyard’s hillside location and more extreme growing conditions produce small intensely flavored berries that ripen later in the growing season. Always evocative of the Italian province of Apulia (Puglia), this varietal is legendary (think last supper legendary). In the 2015 expression, you’ll be struck by the beautiful garnet color and nose of black cherries and hint of pepper. It’s smooth on entry, medium-bodied and with a flavor palette of cherries, blackberries and licorice. Light in tannins but well-structured, this is one smooth wine! This wine would pair well with a dry Sonoma Jack, Gouda or Gruyere cheese. For a stellar entrée pairing try it with lamb kabobs. 212 cases produced. The Rabble Red Blend 2015 comes from the Mossfire Ranch Vineyard in Paso Robles. Aged in French oak, it is made up of 90% Merlot and 10% Syrah. Brooding purple with dark rimmed color. The nose blooms first with red cherry, ripe plum to dark raspberry with hints of anise seed and ending dusty suede. The palate is explosive, lush ripe fruits give way to supple tannin, layers of dark and bright berries with balanced acidity and firm yet restrained structure. The strong finish lingers of black tea and plum.